Considering the time you took to hand select your custom area rug, you don’t want to trust just anyone with the cleaning and maintenance of your precious possession. You need to have the confidence that the company you select is fully capable and qualified to handle such a unique project. Artistic Associates has been built for over 40 years by means of referrals from customers that have been thrilled with our services. 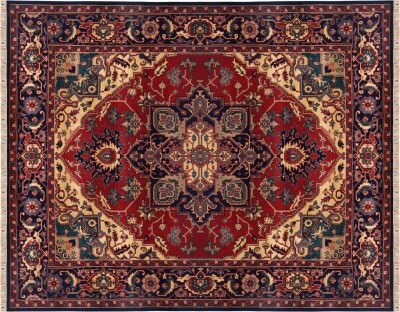 Artistic Associates cleans wool, silk and traditional Oriental rugs in our own specialized facilities. This insures that your rug is cared for by hand and kept in the finest condition possible. Also, your investment is in our personal care every step of the way. You never have to worry about it being “sent out” to an unknown subcontractor. There are many ways to ruin an Oriental rug. You do not want to experience any of them! That is why clients come to Artistic Associates. We apply more than forty years of experience with Oriental rugs and the specific training from the Institute for Inspection, Cleaning and Restoration to every job we undertake. This expertise is necessary if you want your rug to look like new again, instead of shopping for a replacement. Our careful procedures, trained specialists and in-house facilities are the primary guarantee that your Oriental or custom rug will look beautiful again. Artistic Associates is also fully insured and bonded. Genuine oriental and hand knotted rugs must be hand washed to ensure the personal attention they deserve. Our customized 8 stepprocess is sure to produce the results you desire. We are even qualified to treat stubborn stains such as pet contamination and wine spills. Select the rug cleaning service that Laguna can trust! Our honest pricing, expert training, and specialized facilities guarantee that the maintenance and repair of your Oriental rugs will be a fulfilling experience. Discover the skill and integrity of Artistic Associates bycontacting us at 916.483.7400.